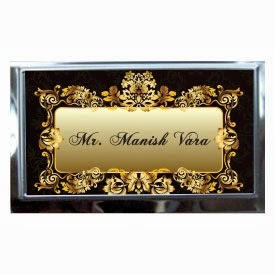 Elegant and beautifully designed business card holders can add style to your work desk. In the business or corporate world, having your corporate message on your desk displayed in a cool manner, corporate business card holders are a great idea to advertise your business during client meetings. 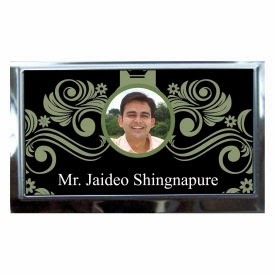 Our trendy amazing business card holders having your business name printed on them. You can also use Gift passion’s business card holders as a gift to your boss and impress him. You can even have any personal text message along with a picture of your choice to express yourself in a better way. Personalized attractive cardholders can also be a good option to give as a corporate gift to your customers and clients on various occasions.